How to Safely Instill Eye Drops after LASIK? After LASIK, your doctor will give you antibiotic/steroid eye drops to prevent infection and/or inflammation and artificial tears to lubricate the eye. While these eye drops are important to help your LASIK recovery process, they are only useful if they are used regularly and instilled properly. Let’s now learn how to instill eye drops properly after LASIK to achieve the best LASIK results and reduce the risk of LAISK complications such as displaced flap and infection. Understand clearly from your doctor what the eye drops are for and what side effects you may notice. If you have allergy to certain medications, discuss your allergies with your doctor before using your eye drops. Don’t instill eye drops when wearing contact lenses unless your doctor says it is OK.
Read instructions carefully before using your eye medications. 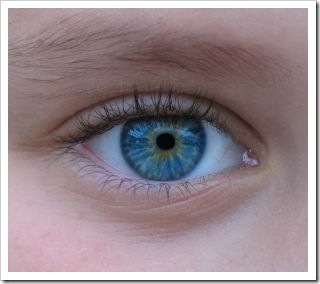 Wash your hands well with soap and water before instilling the eye drops. Make sure that the right drops are being used for the right number of times. Shake the eye drop bottle well before using the eye drops. Open the cap of the eye drop bottle carefully without touching the tip of the nozzle to avoid contamination. Always instill eye drops before eye ointments. Replace the cap of the bottle immediately after use. Wait 5 minutes between each type of medications. This allows the first drop to enter the eye before being washed away by the second drops. Close your eye for 5 minutes after applying the eye drops. Only use your prescribed eye drops for the condition that it was prescribed. Store your eye drops at room temperature and away from heat, moisture and direct light. Keep the drops out of reach of children. Don’t use the drops if they change color, turn cloudy or have small fragments floating in them. Don’t use or keep expired drops or medicine that you no longer need. Unused eye medication, once opened is discarded and never used for other persons. Tilt your head back while you are sitting, standing, or lying down. Look up toward your eyebrows. Pull down your lower eyelid with your index finger placed just below the lower eyelid to form a pocket. 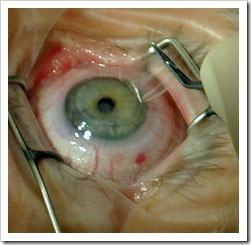 Squeeze the eye drop bottle to place the drop in the pocket between the eyeball and the lower eyelid. Don’t allow the tip of the bottle touch your eye. Gently wipe away any excess eye drops with a clean tissue. Don’t rub your eyes. Close your eyes for 5 minutes after instilling the eye drop. Great article about how to apply eye drops after lasik. Often people think that the surgery is the only thing that it's involved and there's nothing else afterwards. It's important to spread this message.